CARFAX One-Owner. Clean CARFAX. Certified. Classic Silver Metallic 2017 Toyota Corolla iM FWD CVT 1.8L 4-Cylinder DOHC TOYOTA CERTIFIED. 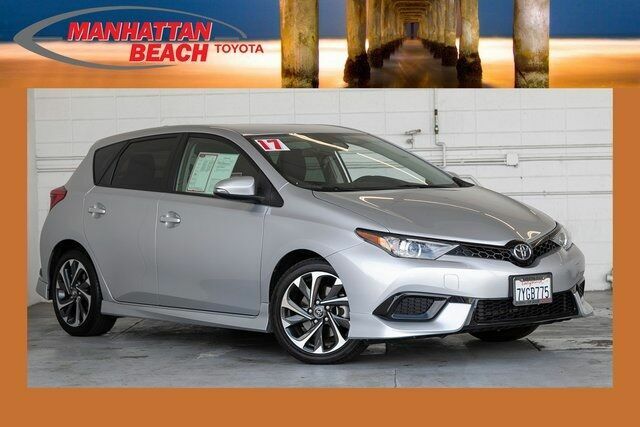 2017 Toyota Corolla iM proudly serving Manhattan Beach , Hermosa Beach, Redondo Beach, El Segundo, Inglewood, Hawthorne, Lawndale, Torrance, Carson, Gardena, Marina Del Rey, Palos Verde estates.